Beginning in summer 2017, our partner organization WHEDco worked in collaboration with the NYC Department of Small Business Services (SBS) to complete a Commercial District Needs Assessment. The CDNA is a tool to evaluate the needs of the businesses, shoppers, residents, and those who work in the Southern Boulevard area. 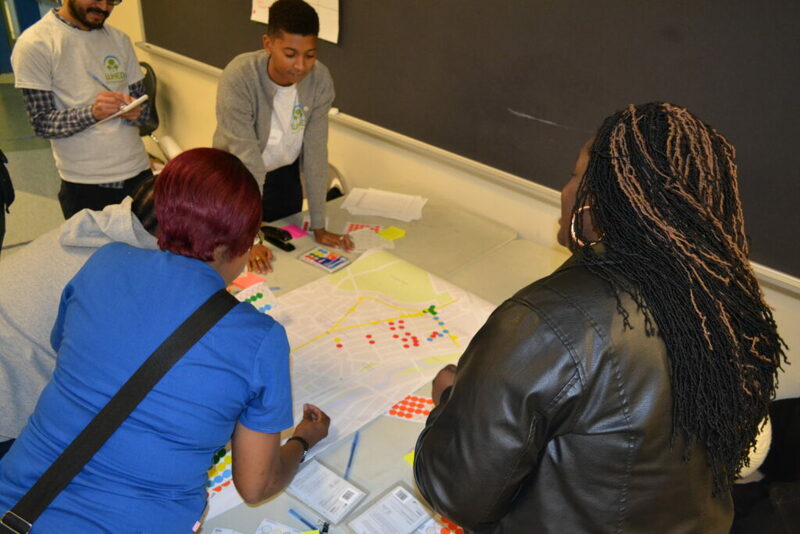 During the CDNA’s data collection process, WHEDco created a business inventory, recorded streetscape and public space observations, collected merchant and shopper surveys, and conducted a neighborhood input session. The information gathered will inform SBS, neighborhood non-profit organizations, institutions, merchants and potential business owners about the neighborhood and what shoppers would like to see in their neighborhood businesses. Which commercial corridors were studied for the Southern Boulevard CDNA? Community partner YMPJ conducted complimentary merchant and consumer surveys below E 167th Street on Southern Boulevard to E 163rd Street, as well as on Westchester Avenue between E 162nd Street and the Sheridan Expressway.